After successfully transitioning from MX2 into the premier class, MXGP, where he completed his first full term onboard a YZ450F, Jeremy Seewer has been drafted into the Monster Energy Yamaha Factory MXGP Team for 2019 and is set to make his debut as a ‘Factory’ rider this weekend at the final round of the All Japan Motocross Championship taking at Sportsland SUGO in Miyagi Prefecture, Japan, on October 28th. Having finished inside the top-ten overall at 17 rounds of the 20 round series, Jeremy Seewer was the best performing MXGP class rookie in 2018 and the only rookie to finish inside the top-ten in the final championship classification this year, where he finished eighth overall. This weekend, at the Sportsland SUGO complex in Japan, Seewer will be competing in the IA1 class against Japan’s fastest 450cc riders where he hopes to impress the capacity crowd with his fast and flamboyant riding style. The race will take place on Sunday 28th of October. 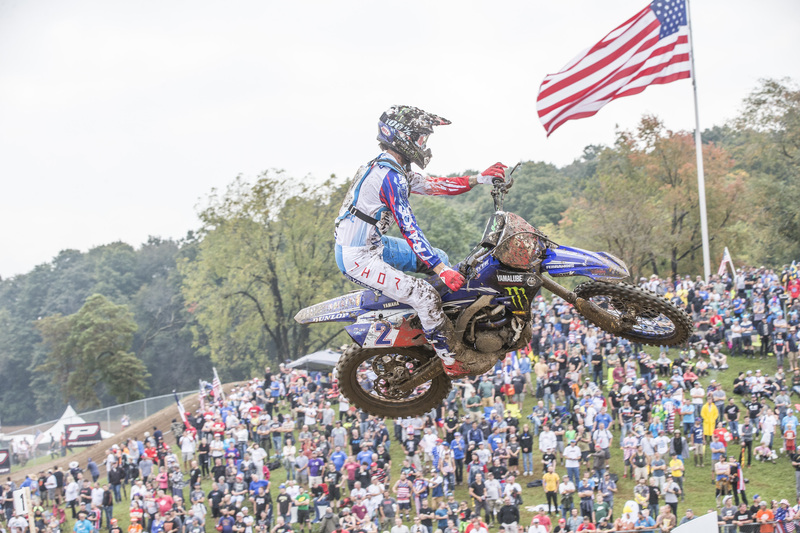 Follow Yamaha Racing on Facebook, Twitter and Instagram for quick-fire results and live updates from the event.